An e-book published by Google shares some insights based on scientific A/B testing on improving E-commerce sales. The playbook is freely available online. Some of the above may look like old content. 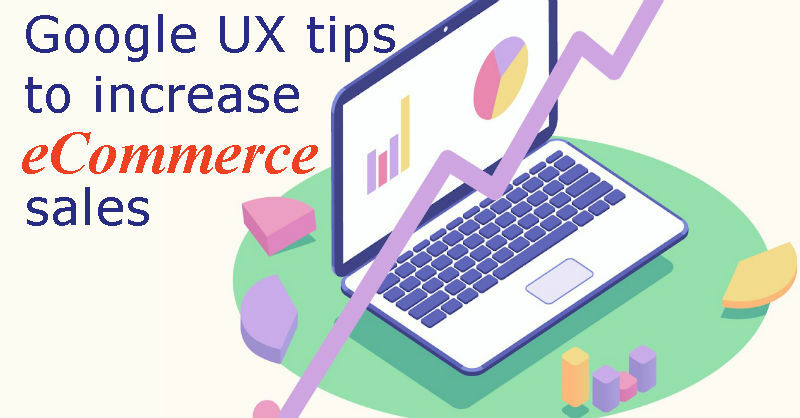 But when you go into the insights of these tips you will realize, your e-commerce webpage still needs a lot of improvement. Researches show that carousels rarely work. Only the first slide gets some action (1%! ), other slides hardly get clicked on at all. 1% of clicks for something that takes up (more than) half the page?” Carousels can be perceived as banners and hence can be ignored. Human eye reacts to movements and hence automatic image sliders or carousels should be avoided. Important things can be missed. When you load too many messages, the impact goes away from any single message. People generally have banner blindness. According to Google webmaster central Structured data, exceptional content, and machine learning are among the most important SEO trends to know about in 2019. It says that eCommerce users generally use the search bar to search for products than navigating products from the menu. One of the most important tips which readers generally overlook is User experience issues. Google eBook mentions that a search function in an eCommerce store should never return zero results. But an eCommerce site should return a page of popular categories for a user to click through to find what they’re looking for. By showing the most popular categories, the retailer is increasing the odds of showing the right category to most of the site visitors. These tips are a bit indigenous but useful for e-commerce websites. An e-commerce website should never show a user a menu once they are on the path toward the checkout. Google recommends that users should return to the homepage, or to the shopping cart page. It is emphatically stated that eCommerce websites should limit exit points during conversion flow. Creative is a turnkey web, enterprise, and mobile software solutions, provider. We have been serving clients e-commerce website and its online marketing campaigns since 2006. Our SEO professionals are Bing and Google Adwords certified. Our team continuously keeps on updating its knowledge with the latest Google algorithm for better SEO ranking and lead generations.